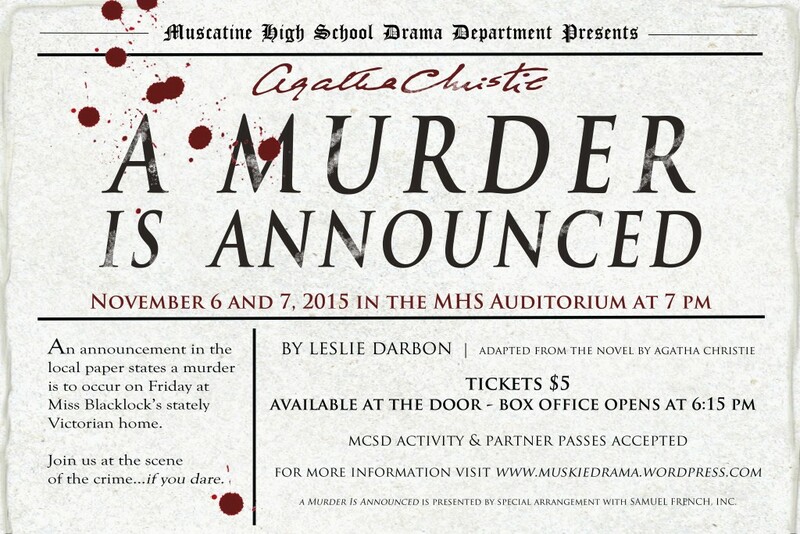 The MHS Drama Departments presents: A Murder Is Announced by Agatha Christie. Plan to join us for this suspenseful whodunnit on November 6 & 7 at 7 pm in the MHS auditorium. Tickets are available at the door for $5 each; activity passes will be accepted. Box office opens at 6:15 pm.